As this is the first post of 2012, it only seems right that we have something a little special to start the year. This whisky is the same age as me, and it comes from … Aldi. My extraordinarily lovely wife got up at some ridiculous hour (something she never voluntarily does) to stand in a freezing queue outside our local Aldi and grab one of the six bottles they received. So what’s the story? Well, Aldi somehow got hold of 3000 bottles of this well aged whisky and decided to grab some very successful pre-Christmas publicity by selling it for the absurdly low price of £50. 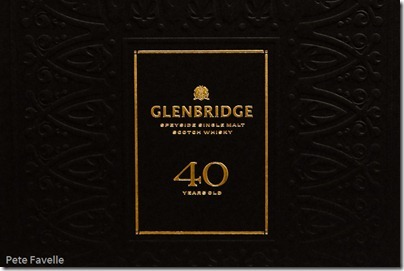 Either Aldi were taking a serious hit on pricing – a reasonable 40 year old whisky should be well over double their price – or they got it very cheaply, for some reason. 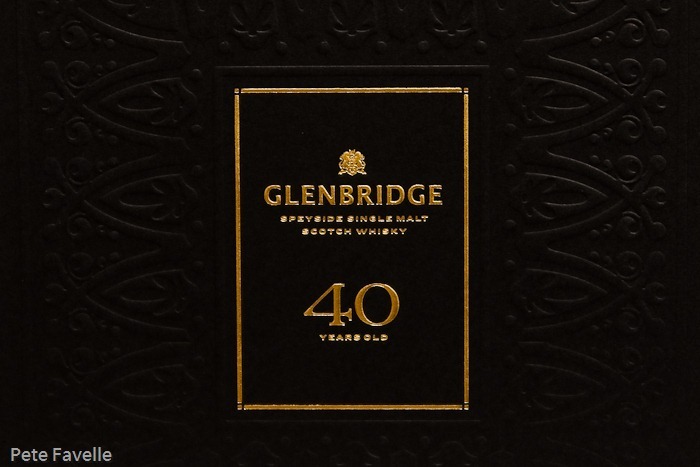 There’s been a lot of debate about the distillery that produced this whisky – Aldi have given it the fictitious ‘Glenbridge’ brand but aside from telling us it’s a Speyside, they’ve not given us any clues to it’s origin. Smarter people than me have suggested it might be a Glenfarclas; that would certainly marry up with Aldi’s own press release suggesting a value of £300 (the price of a Glenfarclas 40 year old) and the tasting notes are suspiciously similar. If anyone wants to send me a bottle of 40 year old Glenfarclas, I’ll be more than happy to do a taste comparison to confirm the theory! So was it worth the hype? Well, there is one (hopefully very tasty) way to find out. It pours into the glass with a very satisfying glug, and has a pleasantly rich colour to it. The nose is remarkably smooth; vanilla, sweet dark honey and and hint of dried fruit and spices, along with a generous dose of the wood where it’s been whiling away the decades. A splash of water brings out more of the grain but robs it of it’s richness a little. In the mouth, and wow. It’s warming, rich and full bodied; a fruity caramel sweetness, a decent but controlled alcohol burn, and a lurking tannin dryness towards the end. Water again cuts back the richness; the sweetness is more apparent and you still have a nicely warming, lingering tail to tempt you toward another glass. I think this is a whisky that needs you to hold the water; it’s magnificent as it comes out of the bottle. I feel slightly guilty reviewing this, because Aldi sold out within about half an hour of opening so unless you’re willing to pay some stupid prices on Ebay, you’ll have to find a friend to (grudgingly) give you a dram. And I can’t claim to be enough of a whisky expert to tell you if this is a decent 40 year old whisky – it’s not like I often have such old whisky in my cupboard. What I can say is that it’s one of the nicest whiskies I’ve tasted; my wife will be glad to know her sacrifice was worth every frozen minute! What a great description, ‘It pours into the glass with a very satisfying glug’ was particularly evocative. Keep writing. Great review Pete, like you i’m in possession of one of these fine bottles…….just waiting the courage to crack it open! 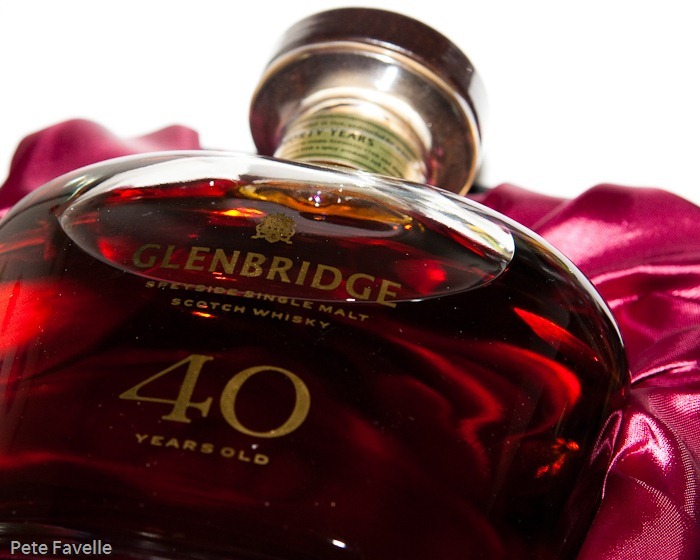 How many 40-year-old whisky are for sale under £300?? You say “…a reasonable 40 year old whisky should be well over double their price of (£50)…” as if there are many to choose from. Can you list specifics? 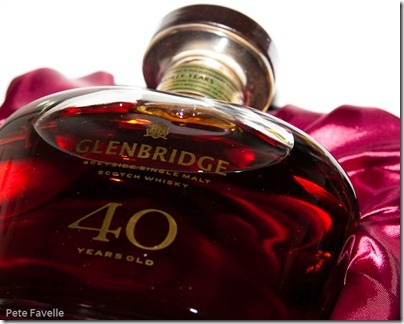 The only 40 year olds I see (aside from Glenfarclas) cost thousands of pounds. Hi Steve; they’re not the easiest things to find – Master of Malt have a whole section dedicated to them and although it pretty much starts at £300, there is certainly plenty to choose from well below the “thousands of pounds” mark. All that said, you’re right to point out that “well over double the price” is understating things a touch!